In an age of overload and anxiety, clarity is increasingly rare – and increasingly valuable. 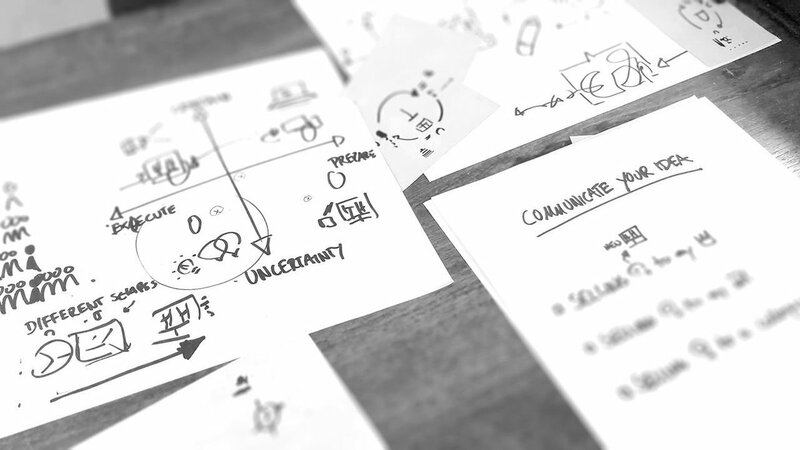 If you are a business owner, leader, facilitator or visual practitioner, then you know how vital it is to see your situation clearly, to think clearly under pressure, and to make decisions based on a clear understanding of all the factors at play – not only for yourself but when working with others as well. Yet our modern hyper-connected world, with endless streams of information and demands, can feel like it was purposely designed to destroy clarity, overlaying it with distractions and irrelevant details. Visual Tools offer you a powerful way to reclaim your headspace and restore clarity to your thinking, decision-making and communication. By sketching out your situation, problems, ambitions and options, you tease out your own thinking, combine it with inputs from other people, and arrive at common understanding of the challenges you face. Once you have done this, you are in a position to make important decisions with clarity and therefore with confidence. The Creating Clarity Workshop will help you apply Visual Tools to your day-to-day business. The workshop is based on The Clarity Framework, which Holger developed as a mental model powerful and flexible enough to address any creative or strategic challenge faced by you, your team or your organisation. 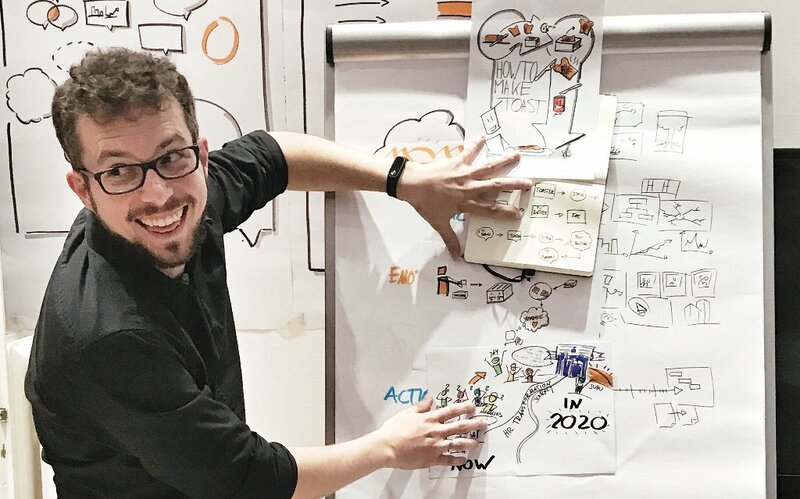 ... Because Holger will teach you not just how to draw, but how to capture a business challenge on paper - and how to solve it using the same Visual Toolkit. Over the course of the day, you will learn to start building your library of Visual Tools. Through example, practice and feedback, you will gain confidence in your ability to use the tools in real-world situations as soon as you return to work. Holger Nils Pohl is an internationally active Visual Strategist. His expertise is helping and coaching teams to visualize, understand and communicate their strategy, innovation and change efforts. He is the founder of the WorkVisual Institute, CEO of the Visual Manufactory GmbH and Creator of the WorkVisual App. He lectures at the University of Arts Berlin and the Hochschule Macromedia, University of Applied Sciences Cologne. In his passion for developing for the future, he co-created the business game Playing Lean and the Business Comic Biz4Kids (with Alex Osterwalder). Venue: ‘Arts at the armory’ 191 Highland Avenue, Suite 1-C, Somerville, Ma 02143, 617.718.2191 – the same venue that hosts the Strategyzer Masterclass Nov. 8th+9th. This is the only public workshop that Holger is conducting in the US this year. Reserve your seat in Boston and prepare for a day full of inspiration and tuition from the originator of The Clarity Framework. Get your ticket now, by clicking on the screamingly green "Buy tickets" button in the right upper part of this page. Do you have any questions? Then send us a message to events@strategyzer.com and we’ll get right back to you. We’re looking forward to meeting you in Boston!